TAMPA, Fla., July 20, 2018 /PRNewswire/ -- BBVA Compass announced today that Jason Woody of the Lions Eye Institute for Transplant & Research (LEITR) has been added to its Tampa advisory board where he will advise the bank on market developments, projects, and other potential opportunities in the area. Woody serves as the President and CEO of LEITR, one of the largest eye banks and ocular research centers in the world, where he and his team help blind and visually impaired people with the gift of sight. The nonprofit was founded as an eye bank dedicated to the evaluation and distribution of eye tissue for transplantation, and has helped over 130,000 men, women and children around the world receive the gift of sight. "Welcoming Jason to our advisory board is both a pleasure and an honor for us," said BBVA Compass Tampa Market President Kevin Shukur. "His 27-year tenure at the Lions Eye Institute speaks to his passion for service to those around him, while the Institute's success under his leadership is a reference point for his ability to make positive connections in the community. Additionally, having a new board member with the nonprofit knowledge Jason has will be an asset in our growth plans. I am excited that Jason has joined our team." Woody is active in the community, serving on multiple boards and committees such as the Greater Tampa Chamber of Commerce, University of Tampa Board of Fellows, and the Executive Committee of the Eye Bank Association of America and Donate Life America as the Chair. 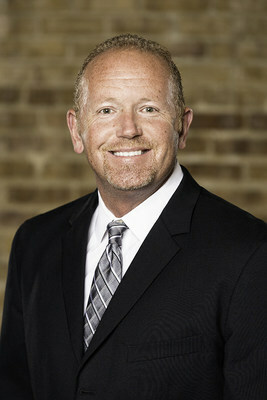 He also is the immediate past president of the Donate Life America board and serves on the Organ and Tissue Education Panel for Florida's Agency for Health Care Administration (AHCA) to represent the interests of the public with regard to increasing the number of organ and tissue donors around the country and across the state.